It's back by popular demand! The Autumn/Winter FASSI cranes promotion, and this time its premium quality coffee on the go, wherever you are, whenever you like with this Handpresso portable espresso maker. Get one FREE with every crane order placed with us from 1st September to 31st December 2018. 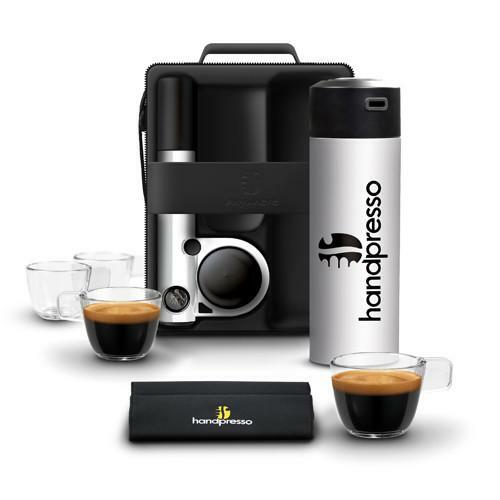 It would make for an interesting Christmas gift for your favourite coffee lover or equally a fantastic raffle prize for your business charity efforts, you decide, its FREE with every crane order placed from now until the end of December 2018. What are you waiting for? Call 08451 809 809 to order your FASSI crane today and make sure you get yours.